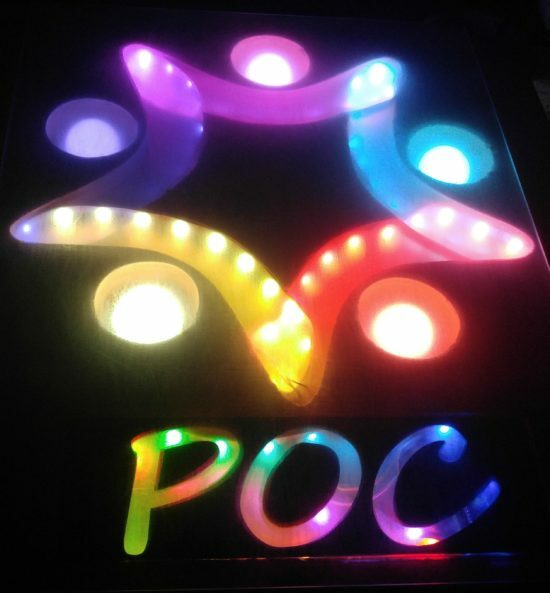 Shaun and Kevin worked on a sign for Shaun’s tribe at Burning Man – POC People of Color. Shaun used the ShopBot CNC to cut out the POC logo and space for the Arduino Nano. Final result is a random selection of colors. 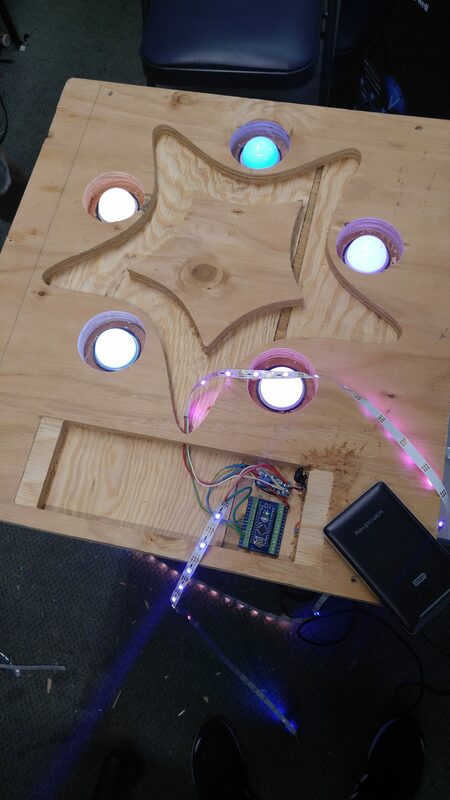 Arduino code to randomize the bottom sign and pick 5 random colors for the people in the logo.